I can’t stand mess. Which bodes well when you have a baby and a three year old. Our house constantly feels messy. No sooner have I gone round and tidied everything up, has the biggest child managed to transport half of her bedroom downstairs. After three years of being a parent I realise that mess kind of comes with the territory. I know that we’ll never have the show home type look that I love whilst the children are so young, but I do think we have reached a happy medium where most things have their place. Upsizing from a two bedroom flat to a three bedroom semi last year meant that we gained a whole lot more space. Something that we desperately needed with a growing toddler whose things seemed to acquire most of our limited storage space (who knew little people took up so much space!). For a while after moving in it felt like we had loads of space, but then it seems the normal thing to do when you get more space is to fill it up with lots more things! So since starting maternity leave in May I set myself a project to transform our house which we renovated last year into a lovely looking shell, into a home which feels more like us, and with it make more space. First up was creating a second home office and little blogging space for myself (priorities!) which I am delighted with, and more recently I have been working on making our hallway a functional space for the whole family. We have a little nook in our hallway with a huge window that lets in the most amazing light. But as a space it is pretty redundant. You can’t fit much in it, or do much with it but we knew it had the potential to be a functional space and decided to make it a lovely little reading corner with a window seat and cushion. We knew exactly the type of thing we were looking for and were delighted to discover the Abbeville storage bench at the GLTC showroom opening in Spring this year. If you havent already visited the GLTC showroom then you need to. There is nothing quite like seeing and trying furniture out for size with your very own hands and eyes. You will love it. Your children will love it. I challenge you to go there and not find something that you just have to have. In its early days this corner of our hallway used to house our shoes which used to be strewn all over it. Now they are nicely compartmentalised in the baskets of the Abbeville. One for me, one for the Mr and one for the little lady, although we have yet to figure out what we’ll do as the little guy gets older and acquires his own little shoe collection! However, its such clever storage from GLTC who have managed to create a wonderfully functional piece of furniture for the whole family. Above it rests the star wall shelves. Shelves that we actually bought years ago for the little lady’s old nursery in our flat and brought with us when we moved. They were actually the very first thing we bought from GLTC and were wondering how and where we could repurpose them when we realised that they would work perfectly above the storage bench. Before it used to hold cute little baby trinkets and toys. Now as well as being functional and creating additional space to hold our jackets, it has also become a fun and colourful space where we can start to show a little bit of who we are as a family with cute little plants, photos, posters and momento’s. I love that these two pieces of beautiful furniture have transformed this space into something that can be used and enjoyed by the whole family. I love seeing Ella sit on the storage bench first thing in the morning putting on her shoes for school, or the husband putting on his for work. I love that its brought more order to our house, but most of all I love that it’s finally starting to feel a lot more like home..
Disclosure: we are part of the fabulous GLTC testing team and we lucky enough to receive a discount for the Abbeville Storage Bench. We have lots of fun in what we think is one of the best jobs in the world, but we also take our role and responsibility very seriously which means you will always find a fair review and honest opinion of everything we test for GLTC. What a beautiful storage space. And how gorgeous and light is your hallway? You just can’t buy that kind of light, haha. Eeek, don’t come to my 1860’s house with wobbly walls and dated features! Its definately no show room. I like that you are able to make better use of a space with this furniture that it ace. 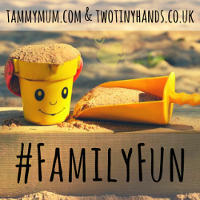 Thanks for linking up to #FamilyFun. Karen : TwoTinyHands recently posted…Hello, my name is Karen and I’m a blogger. Oh wow how lovely you really have created a lovely little space here. I love the idea of a reading corner. 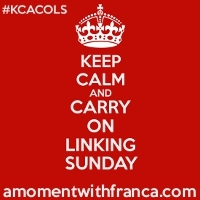 Thanks so much for sharing at #KCACOLS hope to see you back next time! Emma recently posted…Review of the new Teletubbies magazine! Fi – Beauty Baby and Me recently posted…Monday Motivation – You’re what makes you YOU! What a fantastic space. We don’t have a hallway, it’s literally a square of laminate flooring, that leads upstairs or into the lounge. I love how bright and airy your space is! The shelving unit looks fab too, love the little trinkets on the shelf above – especially those plant pots! Adorable. Going to have a nose at your other home and interiors posts now! That’s a super storage bench! It’s all about storage really with little ones, isn’t it? So. Much. Stuff. Your home is beautiful and it looks so bright. Sugar. Forgot to tag #MarvMondays. What a cute bench! My husband is just like you – always cleaning up before anyone is even done with the mess they are making! I guess it’s good that one of us is “the clean one”, it sure isn’t me! I’m exactly the same. Forever picking up after my little girl and husband. The storage solutions look great and the styling is just lovely! I need this in my life! I hate mess too but our hallway is starting to look like a jumble sale with piles of shoes, coats and hats strewn around the place! This looks so stylish and yet practical. Love the little touches on the shelves too. Looks great and very sympathetic to the need to keep on top of the mess kids produce when you live in a small place. Will check it out! This looks fabulous, great work! I love those little plant pots. 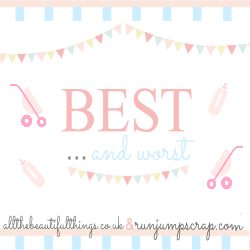 Crummy Mummy recently posted…Motherhood: how old is too old?